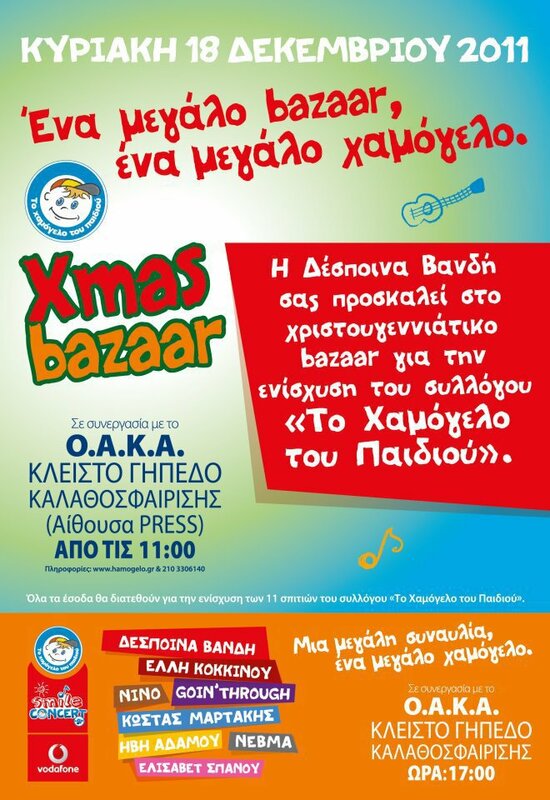 This Sunday Despoina Vandi and 'A smile of a Child' (http://www.hamogelo.gr/) organized a great bazaar for a great smile at the press center of the Olympic Stadion (at the basketball building), starting from 11 o'clock. 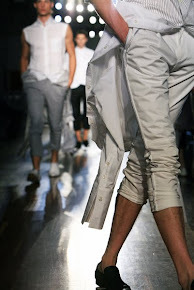 All the proceeds will go to the foundation. A lot of companies has provided their products, so a lot of choice to buy your Christmas presents! And don't forget to buy tickets for the Smile Concert at 5 o'clock! With Despoina Vandi, and Elli Kokkinou, Nino, Goin'Through, Kostas Martakis, Ivi Adamou, Nevma and Elisabet Spanou! All together to raise funds for 'A smile of a child'!